This past Friday, a Soyuz rocket blasted off from Baikonur Cosmodrome with 72 small satellites aboard. With these latest satellites successfully delivered to orbit, the space industry is on the cusp of exceeding even the most optimistic expectations for this year’s nano- and microsatellite launch numbers. However, continued growth within the miniature satellite market is contingent on a few crucial factors. To date commercial companies hoping to launch smallsats to orbit have relied upon a “secondary payload” launch format, meaning their core products are “hitching a ride,” in a sense, to space. While secondary payload deliveries have proven effective—indeed, the majority of today’s smallsats have been deployed in orbit in this manner—a number of dedicated smallsat launch services are on the horizon. While the commercial space industry waits to see which small launch vehicle will be first to market, smallsat operators will continue to turn to alternative launch options in order to deploy their technologies in orbit. The entrepreneurial space industry is a driving force behind the rise in numbers of miniature satellites. ‍Image credit: Michael Macor / San Francisco Chronicle. The pace of nano- and microsatellite launch this year is incredibly promising. A market forecast prepared by SpaceWorks Enterprises, Inc. (SEI) projected that 182 nano- and microsatellites would launch in 2017. This conservative estimate was, perhaps, a reflection of a disappointing 2016—a year which saw multiple launch delays and cancellations, and created a huge backlog of satellites looking to get to orbit. After Friday’s successful Soyuz launch, SEI’s projection has been eclipsed: Thus far this year, 254 satellites have been deployed in orbit. Even the most optimistic estimates put 2017’s total smallsat numbers at 255 launches by year’s end, a number which now seems entirely within reach. The rise in the number of small satellites is being driven largely by the private sector: According to SEI’s 2017 market forecast, commercial satellites accounted for 40% of all nano- and microsatellites launched between 2009 and 2016 (Doncaster et al. 10). SEI projects that this number will grow by 2019 to a whopping 70%. The majority of these new private satellites will be for Earth observation and remote sensing applications (Doncaster et al. 11). 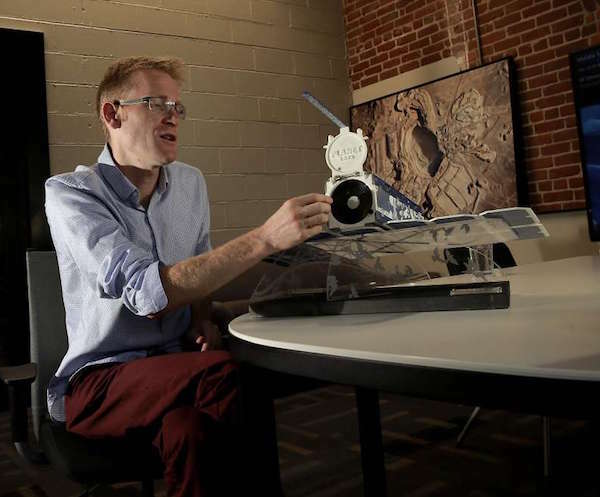 The industry leader in privately-owned Earth-observing satellites is Space Angels-funded Planet (formerly Planet Labs). Of the 45 commercial CubeSats (formally categorized as nanosatellites) that were launched in 2016, 32 were Planet’s “Doves” (Bryce Space & Tech 22).Planet’s volume of satellites in orbit has vastly increased during 2017—the company launched 88 Doves aboard the Indian Space Research Organization (ISRO)’s record-breaking mission in February of this year, and another 48 on Friday’s Soyuz launch. Planet now operates the largest privately-owned satellite constellation in the world, providing its clients with a picture of Earth’s surface that is refreshed daily. Commercial smallsat operators have turned to secondary payload delivery to get to orbit. ‍Image credit: ISRO / multiple payloads visible in PSLV configuration prior to launch in 2015. For commercial ventures whose business goals rely upon nano- and microsatellites, getting their goods to orbit is often a major hurdle at the end of a challenging road. Nano- and microsatellites, by definition, weigh less than 100kg—compared with multi-thousand-kilogram communications satellites, these small technologies are relatively low-priority for today’s massive launch vehicles, and launching a smallsat in isolation would be exorbitantly expensive. The solution has been to bundle together many separate smallsats, often from multiple countries and sources, into a “secondary payload,” or rideshare. This bundled payload is then launched in tandem with the primary payload—usually at a reduced cost to the smallsat operators. This secondary payload delivery has proven to be popular among commercial nano- and microsatellite ventures—partly out of necessity, since the only other option for CubeSat launch has been mechanical deployment from the International Space Station via NanoRacks’ Cubesat Deployer. In response to the needs of the smallsat market segment, so-called “secondary payload brokers” have emerged in order to coordinate bundled launch logistics. One such payload broker, Seattle-based Spaceflight Industries, has organized the launch of over a hundred nano- and microsatellites since 2013. Spaceflight works with a global network of international space agencies and launch providers in order to get their clients’ satellites into orbit—including the Russian space agency, ROSCOSMOS, and the ISRO. However, these agencies are themselves exploring ways to capitalize on secondary payload delivery. 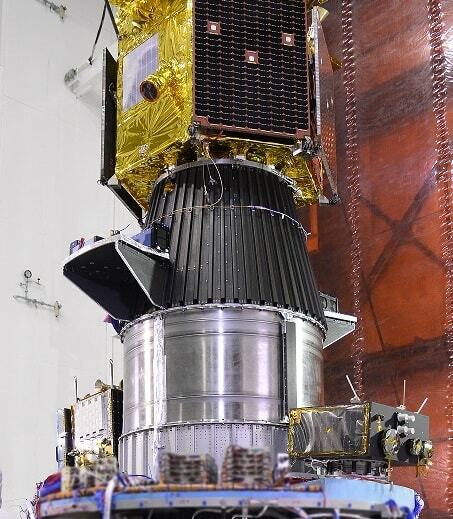 ISRO is already recognized as a key provider of bundled launch services, and their PSLV rocket has been a popular vehicle for a wide array of smallsat operators. Glavkosmos, the commercial arm of the Russian space agency, has recently announced its intention to offer cost-effective rideshare contracts directly to nano- and microsatellite operators—thereby cutting out brokers like Spaceflight. However, in a one-off partnership, Glavkosmos worked with Spaceflight in order to coordinate the secondary payload on last Friday’s Soyuz launch. Commercial space companies are developing dedicated launch services for nano- and microsatellites. Despite the rideshare model’s popularity in recent years, there are downsides to the secondary payload framework. For one thing, a bundled payload’s final destination in orbit can’t usually be customized—most rideshares are unable to accommodate specialized satellite deployment, meaning that nano- and microsatellites are often beholden to the planned trajectory of the larger payload. What’s more, sluggish launch schedules and unexpected delays can stall private companies’ progress and ability to bring their services to market. Fortunately, the private space industry is working towards a smallsat-specific solution in the form of dedicated launch services and smaller-scale rockets. One such venture, Space Angels-funded Vector Space Systems, is developing a family of rockets that will not only provide lower-cost access to orbit, but also a greatly increased launch cadence: Whereas ISRO and Glavkosmos are intending to launch bundled payloads a few times a year, Vector is hoping to launch their Vector-R vehicle 100 times per annum. Last month, Vector announced that the company had closed a $21million Series A funding round, led by Sequoia, in order to continue its progress toward this goal. 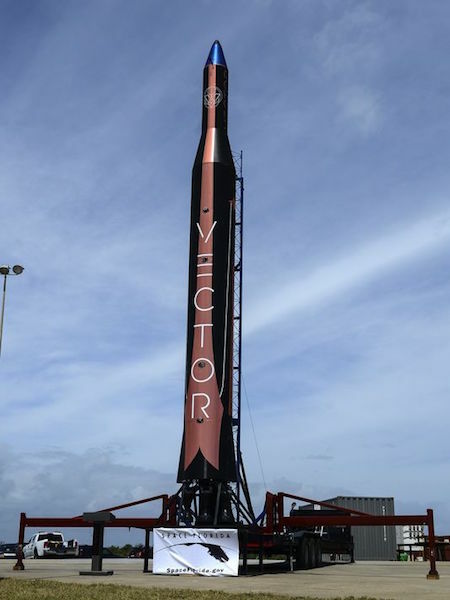 This funding success came on the heels of Vector’s successful test flight in early May, and puts Vector in position to begin flying customer payloads to orbit in early-to-mid 2018—a good thing, too, since Vector has a dozen customers already on the books. Vector isn’t the only commercial company targeting nano- and microsatellite launch. Ventures like Rocket Lab and Virgin Orbit (among others) are also hoping to appeal to smallsat operators by offering cost-effective services and a frequent launch schedule. These dedicated launch providers, in turn, will all be competing for market share with secondary payload brokers and established rideshare services from around the globe. Sustainable growth in nano- and microsatellites hinges upon low-cost and reliable access to orbit. As of mid-July, the space industry is poised to easily outpace even the most optimistic projections for the number of smallsats launched in 2017. In the years ahead, this new wave of miniature satellites will open up a world of possibility for in-space communications, an Internet of Things, global connectivity, advanced remote sensing capabilities, and beyond. Thanks to the entrepreneurial space industry’s big plans for small satellites (and the units’ relatively short lifespan), demand for nano- and microsatellite launch will only continue to increase. In turn, new dedicated small launch vehicles will further stimulate the market. Even in the face of smallsat-specific rockets, secondary launch will still be an option—a release valve, in a sense—for overwhelming demand scenarios. Given the high demand for satellite-driven services, the vast variety of potential applications, and the ever-increasing accessibility of nano- and microsatellites, there may well be room enough in the marketplace for dedicated launch and rideshare services alike. Doncaster, Bill, Caleb Williams, and Jordan Shulman. 2017 Nano/Microsatellite Market Forecast. Rep. SpaceWorks Enterprises, Inc., 2017. Web.